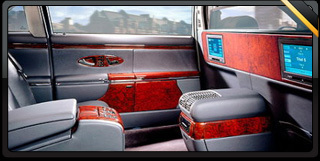 It never seems fair to refer to the Maybach as a chauffeur driven car, because it is the nearest you can get to a limousine, without being able to describe it as a 'stretched limo'. 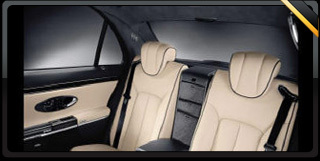 The Maybach almost certainly offers more leg room than any other 'standard' car, in fact it is in a class of its own. 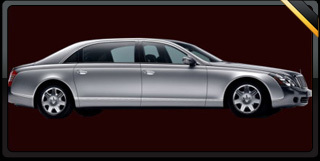 The Maybach is still very rare in the UK and is perfect for anyone looking for something very unique or perhaps those that insist on the maximum comfort, without having to hire a stretched limousine. This vehicle is not available for school proms. Mercedes Maybach - Now available for hire from Cars for Stars.